Many Americans need regular access to a car — to commute to work, to run errands, or drop children off at school. When faced with this need, consumers typically have two options: to lease a car, or to buy a car. Making this decision to buy a car vs lease a car can be extremely difficult because either way, acquiring a vehicle is a big investment. How should you decide whether to lease a car or buy it? You should complete your thorough research and make a pro and con list to figure out whether buying vs leasing cars is right for you and your family. First, what are the advantages of buying a car? One of the best elements of purchasing a car (instead of leasing it) is the additional flexibility. For example, you have the option of selling the car again whenever you wish — this is even easier once the car is fully paid off. Also, there are no mileage limits. This is particularly important if you plan to take road trips with your family, or have a long commute. You have more freedom to change out an after-market stereo or paint the car a new color, if you get tired of it. The car is yours! Many Americans cherish the freedom of owning their own car. However, there are also some potential downsides when you buy a car vs lease a car. Typically buying a car is more expensive upfront than leasing one. Why? If you buy a car upfront, in full, that may make a significant dent in your savings account – around $2,000 to $10,000 if it is a used car, $20,000 or more if you’re buying a new car in cash. Many Americans do not have that much spare change lying around to afford a car upfront! It’s much more common these days to secure an auto loan. Consumers can sometimes apply for a loan to buy a vehicle directly from the auto dealership’s financing team. If that is not available, you can typically call your regular bank, or a third party auto loan specialist in order to apply. Do keep in mind that your interest rate (the payment on top of the price of the car itself) will vary depending on your credit score. The stronger your credit history, the less you will owe toward the auto loan! Your monthly payments toward the auto loan will take into consideration your interest rate and length of the payment plan. If you’re buying a pricier car, it may make sense to lengthen the loan period in order to ensure your monthly payments are affordable for you and your family’s budget. One tricky situation that buyers may encounter — especially if they are choosing lower monthly payments in exchange for a longer auto-loan period — is being “upside-down,” or underwater. Being upside-down is when a consumer owes more for car repairs than the car is actually worth. If you try to trade in a truck that has $20,000 in outstanding loan payments, but is only worth $10,000 in trade-in value, you are upside-down! The difference ($10,000 in this example) is known as negative equity, and it’s a tough financial situation that can be entirely avoided if you decide to lease a car instead of buying. Another important thing to keep in mind if you plan to buy a car is the cost of maintenance and repairs. Usually vehicle leases are set-up with protection for the car borrower in case you need oil changes, new tires, or other routine repairs. However, if you’ve bought the car, you will need to keep in mind the long-term costs that add up to fix it over time. All cars should be properly maintained. And the longer your car lasts, it will average out to being cheaper for you in the long run! On that note, an added financial benefit of buying a car is that your monthly obligation will effectively disappear after your car is paid off, except for the cost of gas, maintenance, and repairs. This is much like paying off the mortgage of a house; even when the mortgage payment is irrelevant, you still owe property taxes and money toward repairs. Maybe that is immediately — if you buy your car outright — which means you have one less regular bill to worry about. Or maybe you finish paying off an auto loan after 60 months, and your budget will breathe a sigh of relief when you have all those additional dollars in your pocket each month. If you’re using a leased car, the monthly financial expectation never goes away. Now, what are the advantages of leasing a car? First and foremost, the lower monthly costs. Leasing can come in handy — and will likely be a cheaper option — for a consumer who would regularly like the latest model of a car brand every 1-3 years. You don’t have to deal with the sales tax obligation or administrative burden of buying and re-selling cars all the time. Instead, you simply bring your current model back to the dealership and can acquire a new lease for whichever time period works for you. This is also a helpful arrangement for folks who do not want to pay for a large chunk of money at any one given time — for example, if you don’t have a significant buffer in your savings account. 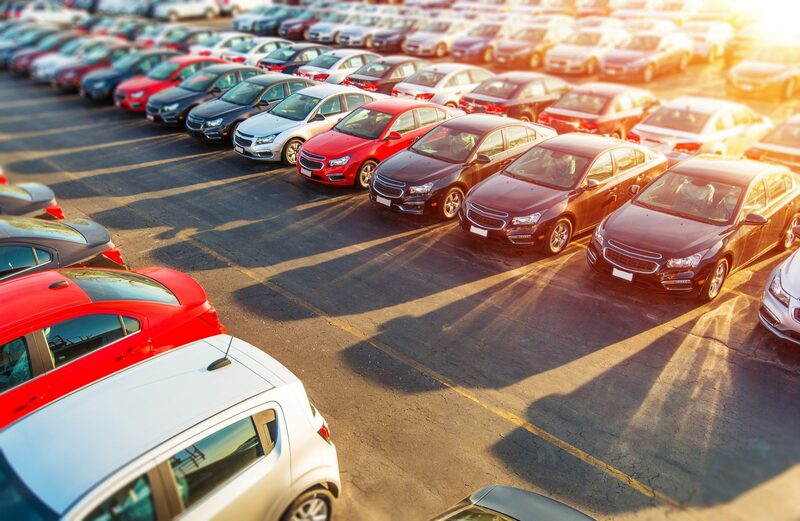 Leasing a car usually doesn’t require a down payment or sizable upfront tax, so your payments are more predictable and stable than for car buyers. Leasing in general is a great option for people who use their car in predictable ways. If you plan to primarily use it as a commuter car, you can setup the lease terms by calculating an estimated number of miles that are realistic to get to and from work each month. You can also incorporate the right auto insurance, warranty, and maintenance coverage into the lease arrangement so that you know exactly what the costs will be for the entire time you’re using the car. Don’t want to pay $3,000 for a new gasket? Then double-check with your lender that this type of maintenance is included in your arrangement if the gasket blows at some point! There are sometimes “wear and tear” fees to keep in mind, so leasing is ideal for safe drivers who expect minimal scratches, dents, dirt, and overall deterioration of the car. Leasing isn’t always a great option for families with kids, since they may unleash a market or do other unforeseen damage that would be incorporated into “wear and tear” fees. Remember, a lease basically pays for the depreciation of the vehicle (since the dealership is getting the car itself back). So the more mileage, or the more beat-up it is when you return it, the more you will be expected to pay! Need to know what to do after a car accident? However, it is important to note that companies that lease cars will take a close look at your credit history to determine your level of responsibility. If you have poor credit, the expense and complication of leasing a car may not be worth it to you. On the flip side, auto dealerships (or third parties) may be a bit more forgiving in providing an auto loan even if you have poor credit. Also, let’s say you receive a great job offer in another country when you’re 2 months into your lease contract. Or let’s say your father unexpectedly gifted you an awesome new car for free, and you want to break the lease. The penalties for breaking an auto lease can be quite steep — up to 6 months of extra payments! 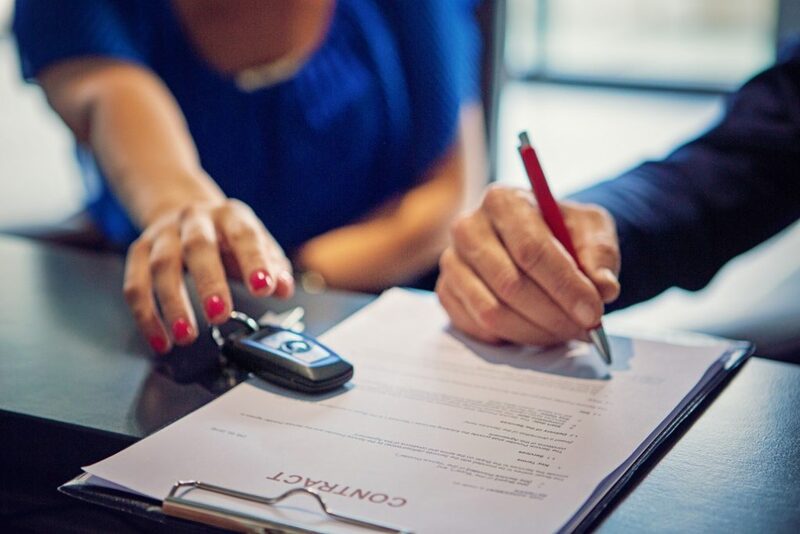 One of the benefits of buying a car is the additional flexibility, where you’d be able to simply sell your own vehicle if your situation changed after a few months down the line. That’s why leasing a car tends to be the best option for consumers whose car usage is predictable. Should I Buy a Car or Should I Lease? There are millions of Americans who are deciding about buying vs leasing cars every day. It’s not a simple decision to make! But every driver’s circumstances are different, and the most important element is accurately weighing the pros and cons of each choice in order to decide what’s best for YOU as a driver. How important is spontaneity to you as a driver — do you want to be able to plan a last-minute 1,000 mile road trip to visit family? Do you want to be able to repaint your car green once the plain black color gets boring after a year or two? If so, buying might be right for you. And what does your financial situation look like at the moment? Do you want to be able to afford a newer model of car at a lower monthly price? Or do you want to buy a new car with the intention of driving it for 20 years, until it’s on its last legs? Every individual has different goals when it comes to driving, so remember to do your due diligence, discuss all the possibilities with your family, and ultimately make the decision that is in your best interest as a consumer.